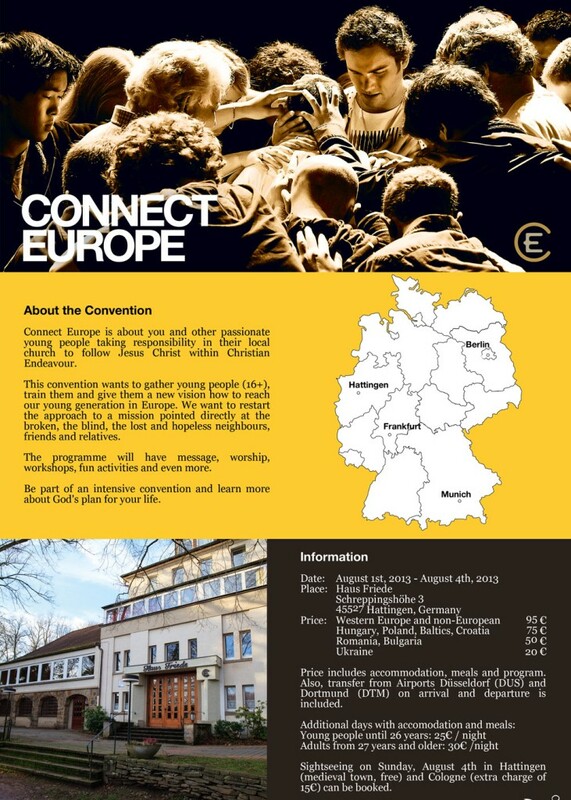 CONNECT EUROPE 2013 will be held from August 1 to 4, 2013 at Haus Friede (www.hausfriede.de) in Hattingen, Germany. Hattingen is close to the airports of Dortmund, Düsseldorf and Cologne (Köln). You can now download a flyer with detailed information and the registration form. Print the form, fill and sign it and sent it to your National CE Union or to Daniel Hoffmann, Schreppingshöhe 3, 45527 Hattingen, Germany.